NOW STANDING STUD!! Knew we should have been using this boy for a long time. Guillermo now has 2 offspring born summer 2018. One male, one female! They are fantastic! 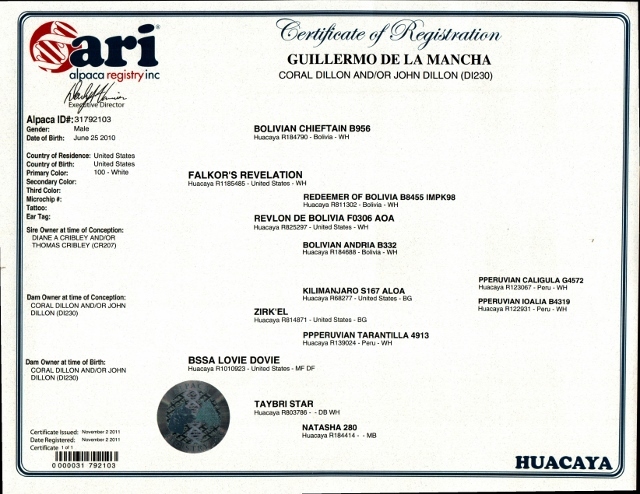 We will hold his price at $3000 for now, with discount for multiple purchase. We would also consider shared ownership. Great Bloodlines! Great Fiber! Great Disposition! Great Potential! Guillermo is a terrific young male born in a year that we had too many white males and we totally overlooked his potential. 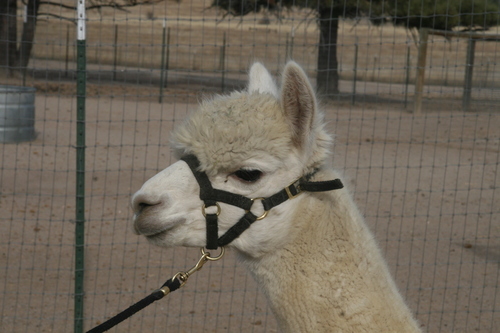 His sire was full Bolivian and his dam from the Peruvian Caligula line. He is a great looking male of good size, solid bone structure and great head style. 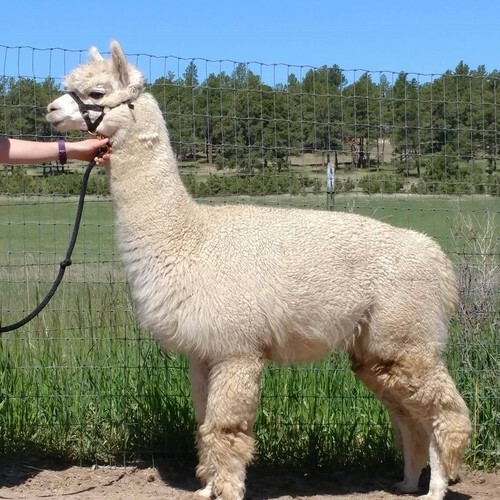 His fleece is fine and bright with great character. 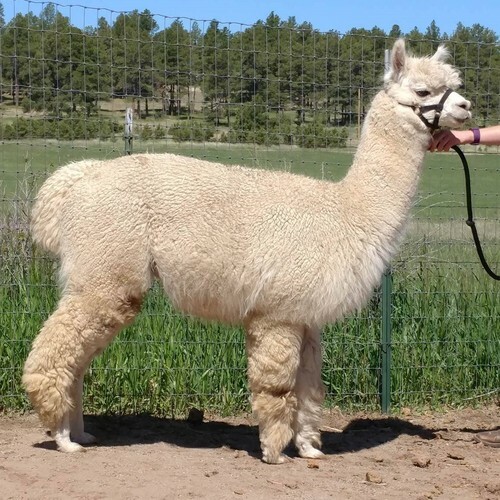 He would be a wonderful herdsire for a fiber farm, paired with one or more females of quality. 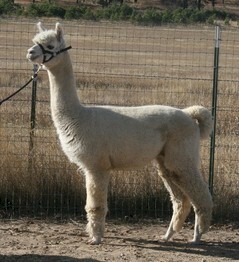 We have several females that would pair nicely with Guillermo's strength of fiber and conformation. Let us help you put together an outstanding starter herd.